Posted in News, under Europe North America. 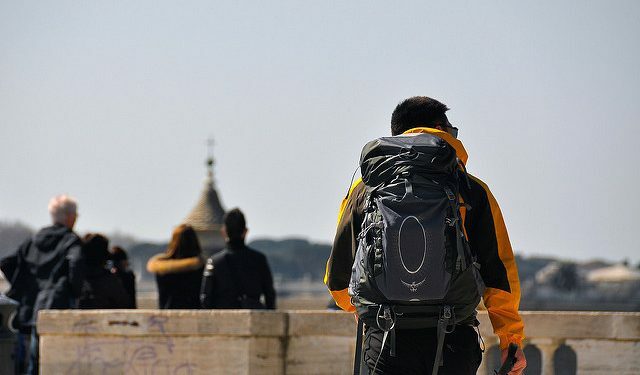 The majority of US students who study abroad believe the experience improved their chances of getting a job, according to a survey conducted by student and youth travel booking service, StudentUniverse. The survey, which took in more than 4,700 responses from predominantly US domestic students, found 74.1% of respondents who had studied abroad believed their experience helped their resume. Almost half (46.6%) said it had been brought up during a job interview. When accounting for those who were yet to have an interview, the figures improved to 76.2%. Around the same percentage as those who believed studying abroad helped their resume. In terms of finding a job or internship, 48.3% said they believed studying abroad had helped, with 39.4% saying that it had not yet, but were confident it would do so in the future. “For an employer to see that a student has studied abroad, it means a number of things – they are likely to be resourceful, willing to take chances and immerse themselves in unfamiliar situations, have cross-cultural understanding and curiosity,” said Danielle Dougan, spokesperson for StudentUniverse. “All things that would be very valuable attributes in an employee of any level and in any industry”. Malicki, however, said that context was key when understanding what students got out of an experience abroad. As well as gauging employability, the survey looked at the factors driving students’ decisions to travel overseas, with cost overwhelmingly coming out on top. Almost 90% responded that price was their primary concern when travelling, and over 60% said they would sacrifice convenience, such as flying to an airport further from their destination or choosing non-direct flights, for price. “The results of these findings are not a surprise to our team of advisors,” Mary Catherine Chase, communications and strategic partnerships director of International Student Exchange Programs, told The PIE News. “We work closely with students every day who fit these price-sensitive identity points,” she said, adding the willingness to trade time to decrease price had “been true of students for a long time”. Dougan said that while the findings on cost were not unusual, the amount students were willing to save in exchange for their time was unexpected. “The biggest surprise actually wasn’t how high of a factor price was in the decision making process, it was that 71% of students would [trade convenience] to save $50-100,” she said. Chase said that while it might appear that students were more tolerant of increased travel times, it was more likely that they had yet to experience it and didn’t understand what they were trading to reduce costs, saying many students don’t yet comprehend the value of their time in terms of real money. Having an authentic experience was also a key desire for students when travelling, with 41.1% saying they preferred to spend their time “off the beaten path”. A further 36.1% said they enjoyed spending time in a city and experiencing tourist attractions, compared to less than 4% who said they wanted nightlife. According to Chase, the need for authenticity and to “live like a local” particularly resonated with those looking to study abroad. “We’re enrolling students directly into a host culture in terms of classes, campus and living environments – whether it is a campus dorm, apartment with local students or a host family,” she said. While the survey did not focus entirely on international students, Dougan said study abroad and travel were connected. “For many students, their study abroad experience is often what insights them to want to do more travelling as it is their first big international adventure,” she said. Do not forget, HE is almost free in all Europe almost . Please wake up people . Do not send your children expensive no good colleges here but send them good low cost European colleges . That is what they say .